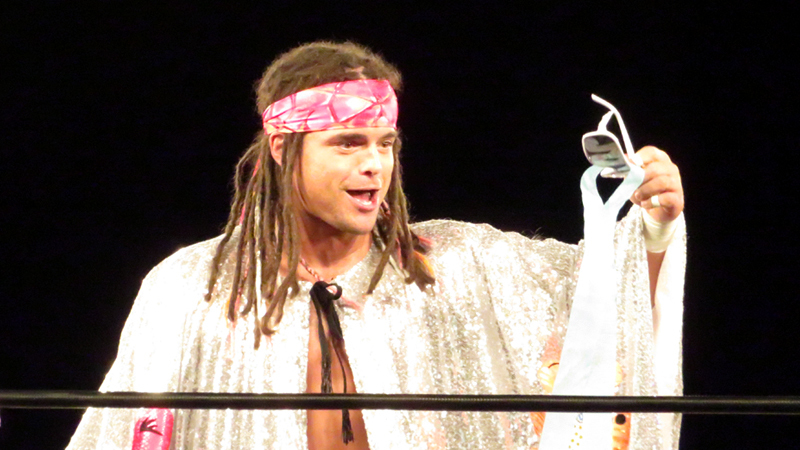 On the most recently released edition of the Talk Is Jericho podcast, current IWGP United States Champion Juice Robinson expanded on his time wrestling for WWE and NXT as CJ Parker. He expressed that he felt that he was hitting “the ceiling” in his time in NXT, but that feeling doesn’t transfer over to his time in New Japan. While fans see Juice as much improved in recent years, he doesn’t agree. As CJ Parker, he was typecast as a hippie due to his dreadlocks and encouraged by NXT officials to “dance and sing” to play up his gimmick. He refused, stating he didn’t have the talent to do either of those things particularly well. While things picked up in his eco-warrior days, it’s clear that he’s much happier with New Japan, having just signed a new multi-year contract with the company. You can listen to the full podcast with Juice Robinson below.